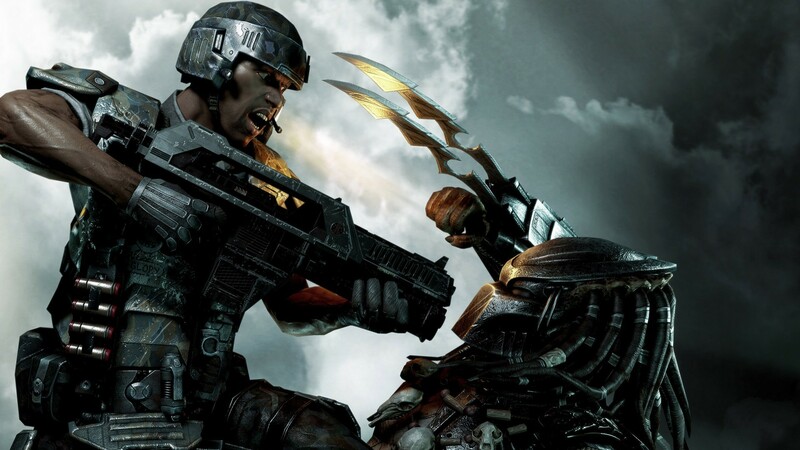 Краткое описание: In the all-new Aliens vs. 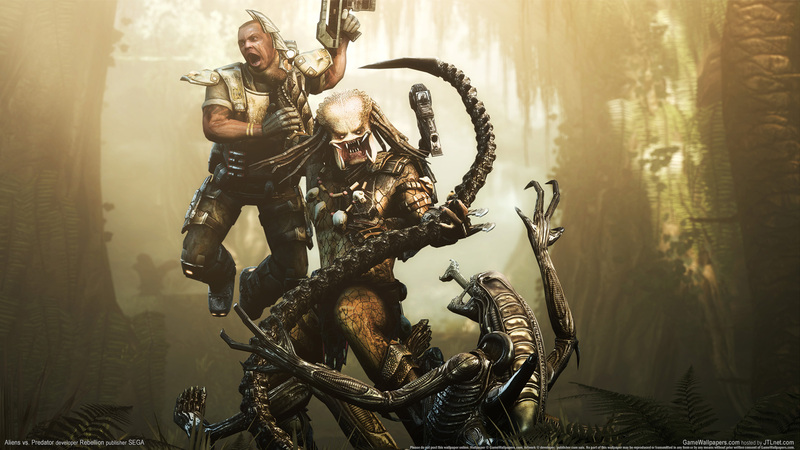 Predator for PC players will have the chance to take the role of the three infamous species; the Colonial Marine, the Predator and the Alien. Each of the three species has its very own distinct story-driven single-player campaign mode that interweaves with the campaigns of the other two species. 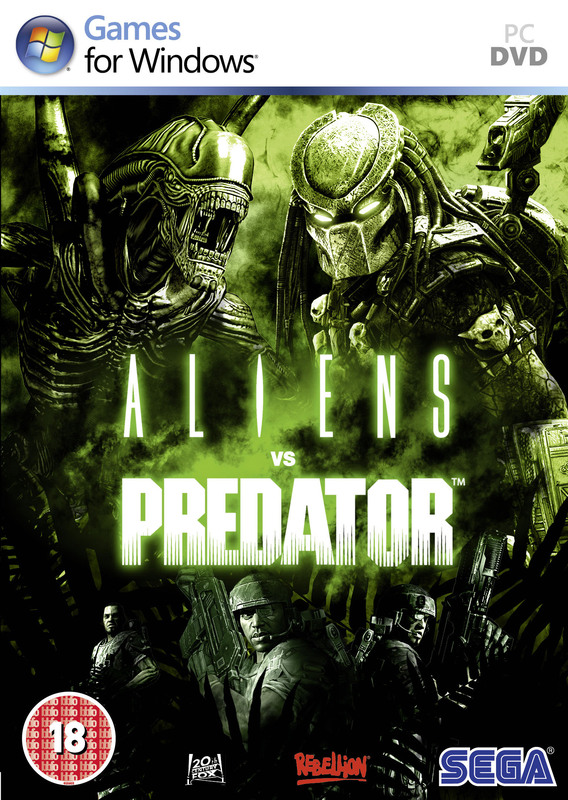 Aliens vs. 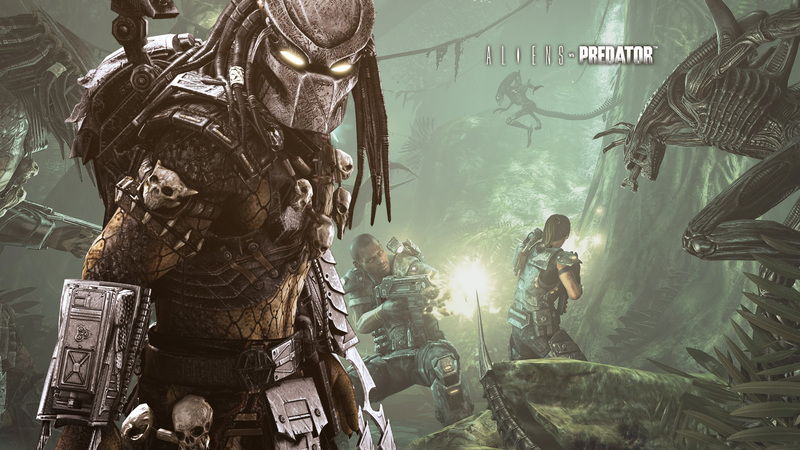 Predator on PC will also feature unique 3-way online multiplayer, allowing gamers to pit the three species against each other in the ultimate battle for survival and for the right to be crowned the deadliest species. * The Marine's story is an incredible fight against the odds, and the horrors lurking in the dark. Beset on all sides yet armed to the teeth, the Colonial Marine represents humanity's last stand with the firepower to fight back. 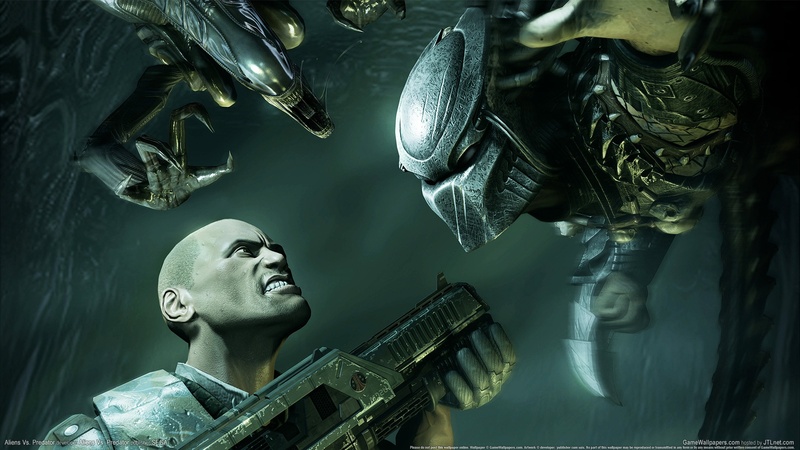 * As the Alien, players will discover what it's like to be the most murderous and lethal creature in the universe, with the ability to traverse any surface with awesome agility in order to get close enough to unleash its deadly teeth and claws. * A master of the hunt, the Predator grants the player a suite of exotic weaponry and equipment with which to stalk its unknowing prey. 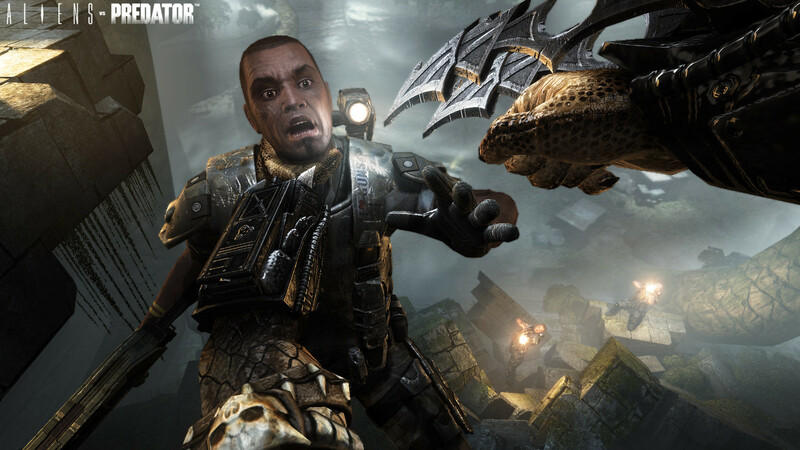 Earn the greatest honour by ambushing prey up-close and butchering them for a gory trophy kill. 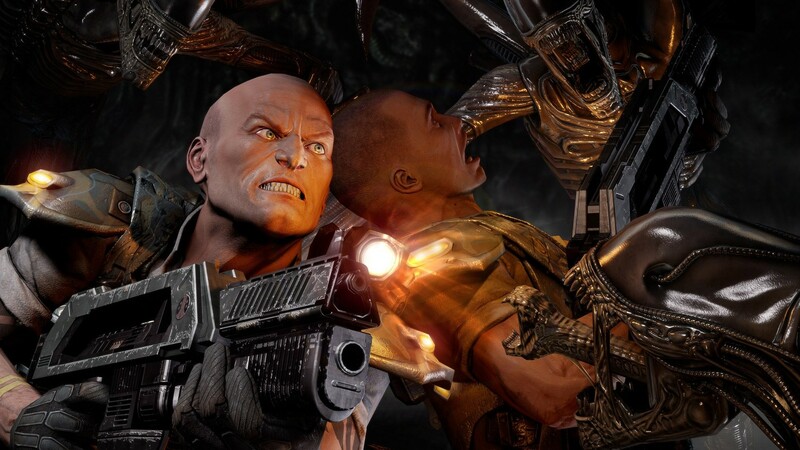 In the all-new Aliens vs. 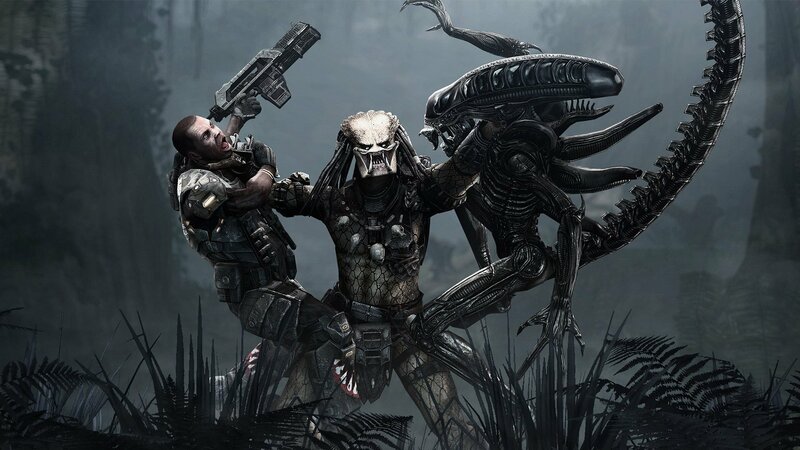 Predator for PC players will have the chance to take the role of the three infamous species; the Colonial Marine, the Predator and the Alien. Each of the three species has its very own distinct story-driven single-player campaign mode that interweaves with the campaigns of the other two species. 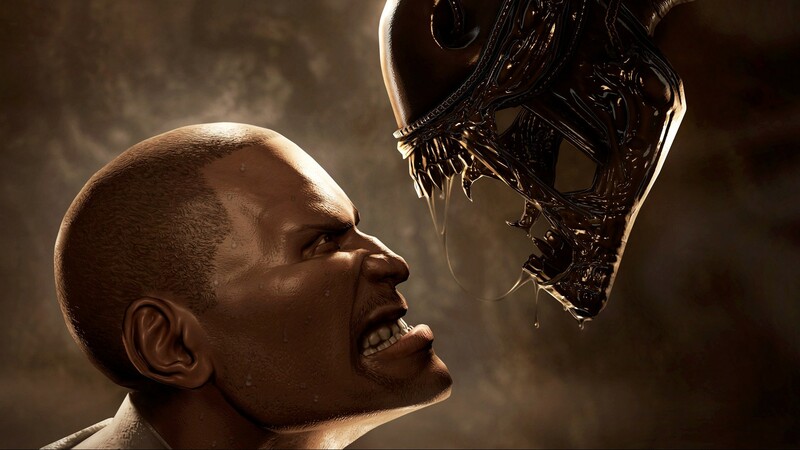 Aliens vs. 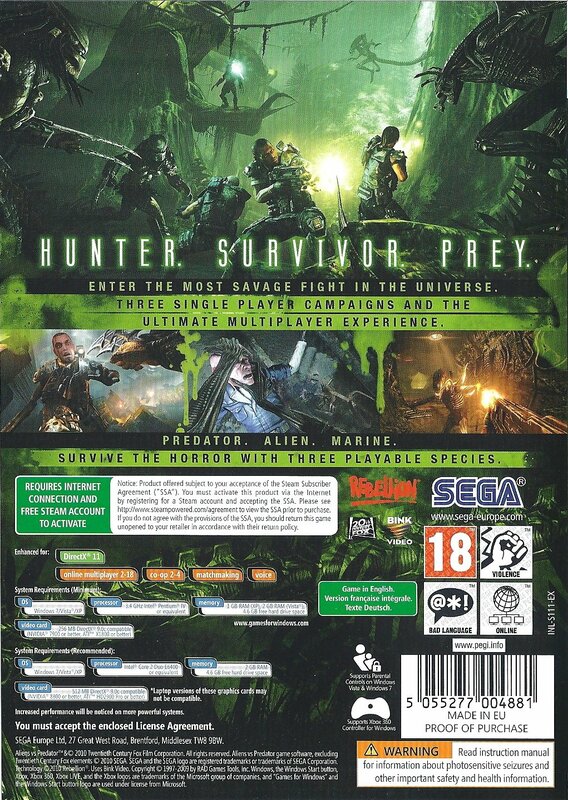 Predator on PC will also feature unique 3-way online multiplayer, allowing gamers to pit the three species against each other in the ultimate battle for survival and for the right to be crowned the deadliest species.